Starting to work with a digital marketing agency is a lot like a new relationship – and no, we don’t mean the honeymoon period. You have to scope each other out a bit, do your research (did someone say Facebook stalk…), and work out what makes each other tick – before pairing up and living happily ever after in that hashtag “agency life”. Well, something like that. The thing is, it’s not always easy to work out what makes someone else tick – particularly if you don’t understand their hobbies or interests. Anyone who’s ever feigned an interest in football or nodded absently whilst being regaled with obscure rap facts knows what I’m talking about. But understanding each other is important, and the same goes for the relationship you have with your digital marketing agency. The first step to understanding what an agency does is understanding what they are. A digital marketing agency is a bit of a ‘does what it says on the tin’ job – they are an agency of people that focus on digital marketing. This has always been seen to differ from ‘traditional marketing’ in that it is largely digital in its activity, focusing on measurable marketing in the digital sphere. However as the digital world takes over more and more, really all marketing involves digital, thanks in part to an increasingly multi-channel outlook from companies across the globe. Digital marketing agencies are typically made up of teams of experts, creatives, strategists, consultants, and all kinds of other knowledgeable people who work together to create campaigns and strategies that deliver quantifiable results – all with goals like increasing brand awareness, boosting sales, promoting an event or product, or launching a new website. 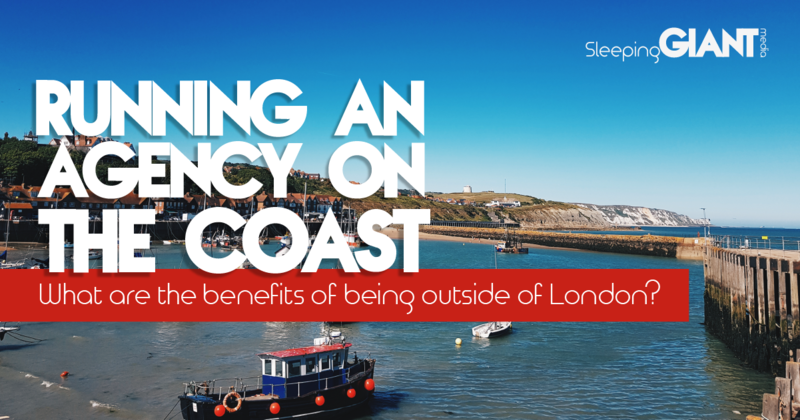 To do this, there are lots of different routes that an agency can take, depending on the one that you’re working with. Ultimately, they’re responsible for researching and implementing marketing campaigns that help you achieve your goal, and there are lots of different tools in their digital toolkit which can help them do that. At Sleeping Giant Media, we offer a full-service approach to digital marketing, encompassing PPC, SEO, social media, content creation, and the analytics and tracking to work out what’s actually working. To do this, we do things like audience research to understand who the customer is for each individual business, as well as completing audits of current activity and doing things like keyword research, to ensure that we’re talking to people in a way that appeals to them. After all, no two customers are the same. Now, I know you may be thinking “if I’m paying them to do the work, why do I need to know about it?” – but it’s not quite that simple. 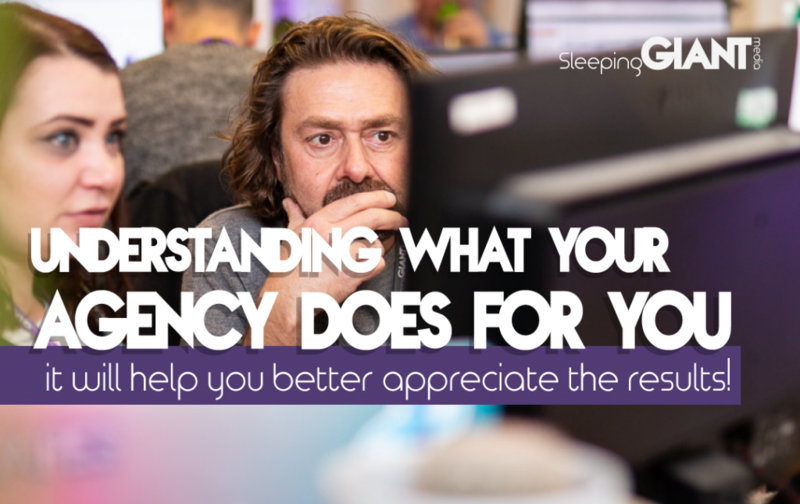 See, most agencies know that when it comes to your business, you know more than anyone, which is why they often want to make sure that they’re making the most of this knowledge. From a head start on audience profiling to competitor research, the more that you can share with an agency the better – and if you understand a little bit about why they need the information, then it can help you be a bit more detailed. Plus, understanding the process can mean that you have a better grasp of what’s going on – no one likes being in a meeting and not understanding a word that the other person is saying to you. Being able to pitch in and say what you like, or don’t like, helps to ensure that you have control over what’s happening. With the digital world creeping ever closing to taking over every inch of our lives, digital marketing isn’t something that you can ignore – so, if you’re not confident already, why not get ahead of the trend and top up your knowledge? You don’t have to hit the books alone, though. Our sister company, Giant Campus, is all about helping people to boost their digital marketing knowledge, with intro courses in all the key areas – including SEO and PPC. Not sure where to start? Drop them a message, they love making friends.